Plan Toys - Wooden Doll House . . .
Travelling Games . . .
Other toys and . . .
French Study Aids / Dictionaries . . .
" By Item # "
Transportation, Vehicles, Planes, Ships . . .
Models - Human Body . . . I Want To Be A . . . . .
James Galt & Co. Ltd.
Playwell Enterprises - Toys, Crafts, Activities . 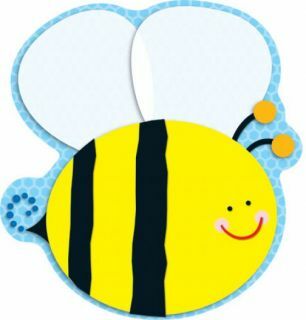 . .
2-Sided Decoration - Bee #188013 is printed on thick card stock. It has designs on both sides of the card, each about 15" x15". Has drilled hole to facilitate hanging. Have a question or need help finding something? Click Here to email us.